I chose this company for various reasons including that a person came to speak with me personally and do a house/roof inspection to obtain accurate details. Other companies asked me to climb a ladder, take roof pics & then send them through to obtain a quote, which I thought was poor customer service. From the first point of contact all staff of this company were professional and easily the best supplier out of the 6 I spoke to. Would highly recommend Solar 1 Electrical to anyone. Quite a lot of suppliers seemed more interested in a sale rather than what we needed. Peter from Solar 1 took the time to visit my home, discuss what was best for us and was prompt and professional at all times. A little slow in responding to emails and phone calls, hopefully this is just a problem with being around Christmas/New Year. All appears to be done very professionally with little disruption to our property. Solar ! electrical were also the only company that actually visited our premises and made constructive comments on our proposed installation. We felt comfortable with their recommendations. Of the three solar system quotes I received, only Solar1 Electrical offered to come to the premises to talk to us and check out where the solar panels would be installed. Two quotes involved a visit to my home. The other was based on a phone discussion only. Solar 1 seemed to listen to me the most. The other two were interested in dealing with my electrical needs now - whereas Solar 1 actually listened when I talked about future needs and what sort of system I was actually after. Solar 1 and I had a sensible discussion about meeting my needs/wants - whereas I felt a bit "bulldozed" by the other two and they proposed systems they wanted to install rather than what I wanted. More professional and thorough in their assessment of our needs than the alternatives. We are genuinely grateful to your website, thank you. Even though we spent many hours researching, your site provided an even handed assessment of areas to take into consideration, of which we hadn't taken into account. The company we chose was quite small, but their knowledge of differing system and mixes was fabulous. A warning though, powercor have refused to take any of our feedback, as they argued they were at capacity in our area. This was quite a shock it meant no incentive payments. In our case, we have chosen to look at batteries in the future, and will use the company who installed our solar system. Everyone, particularly in regional Victoria should be aware of this. Peter and his team provided the most outstanding service from start to finish. Originally quoted for 275Kw panels but recommended and offered to upgrade to Canadian Solar Twin Peak 280Kw panels at no extra cost to us. All questions that were asked of him and his installers were answered in easy to understand terminology, and even registered the inverter warranty for us at the completion of the install. I found Peter to be very patient,friendly and helpful with no pressure to sign up. Prompt in returning calls to further enquiries. After signing,installation,was prompt and his team were very efficient. I have not had time to enjoy the results of not having to worry about ever increasing power bills yet but I am excited at the prospect. The installation was professional and efficient. 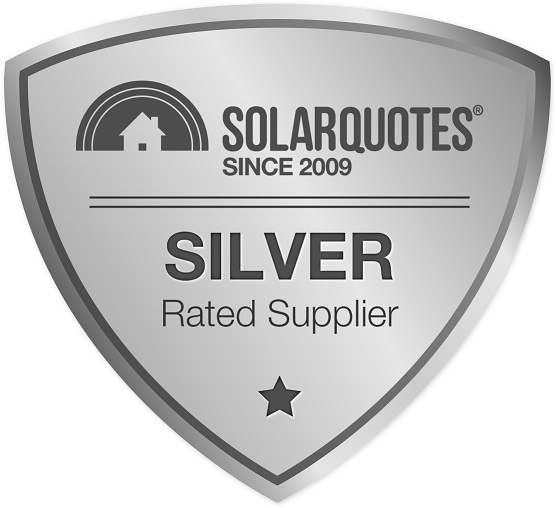 We received two quotes only and accepted the quote from Solar Electrical 1. We chose this based on quality and the fact that one of the proprietors was well known to me and trusted completely.